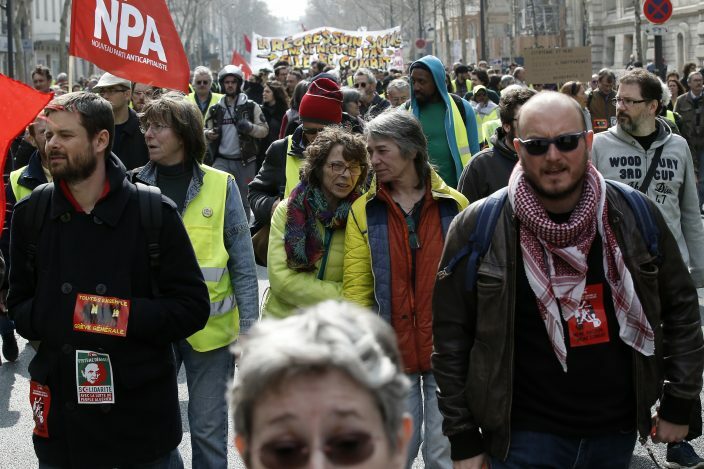 The crowd gathered peacefully at Denfert-Rochereau Square in southern Paris and then headed through the Left Bank. The protesters are expected to finish Saturday's march in the tourist-heavy neighborhood of Montmartre around its signature monument, the hilltop Sacre-Coeur Cathedral. 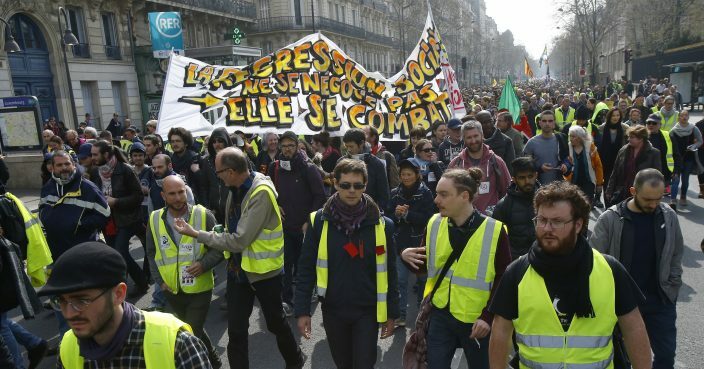 Paris police said they detained 51 people by early afternoon, issued 29 fines and conducted 4,688 "preventive checks" on protesters entering the capital. The French government vowed to strengthen security as yellow vest protesters stage a 19th round of demonstrations, following last week's riots in Paris. 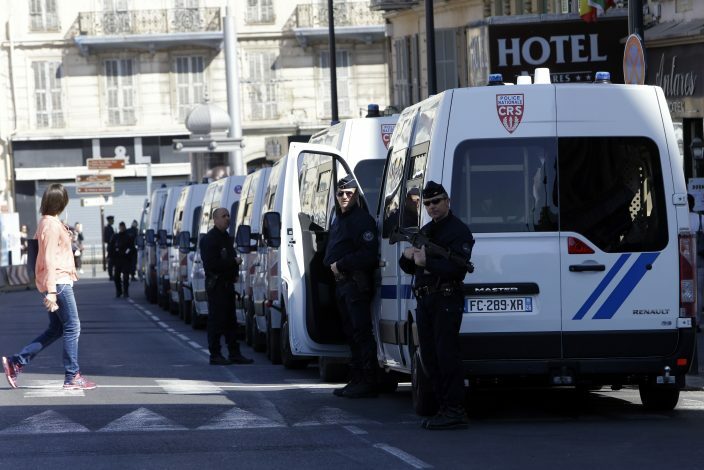 Authorities banned protests from the capital's Champs-Elysees avenue and central areas of several cities including Bordeaux, Toulouse, Marseille and Nice in the south, and Rouen in western France. New Paris police chief Didier Lallement, who took charge following last week's protests, said specific police units have been created to react faster to any violence.